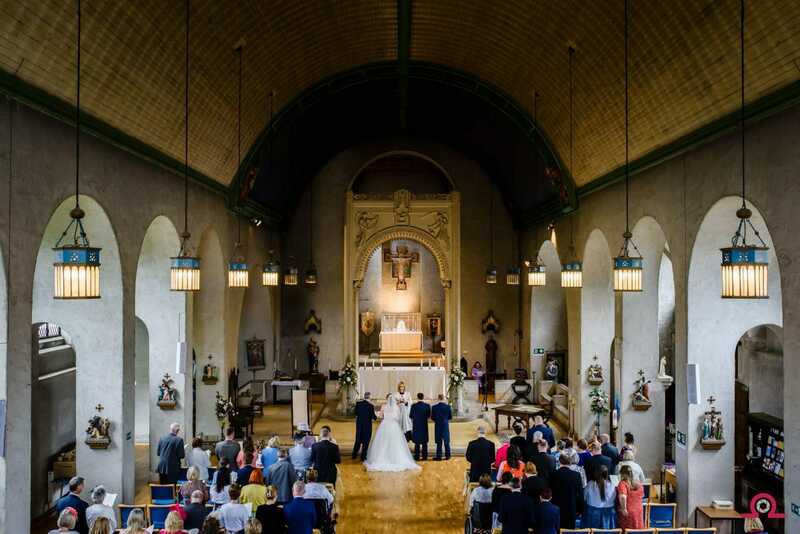 The Church wedding that can boast the best view from the tower is St Frances of Assisi Church in Bournemouth. I had never been to this church before and I was taken aback by the interior of this building. It is simply stunning. Usually, a church is a dark affair with light being emitted by small lamps, not a problem for our sophisticated eyes but for a camera it pushes us wedding photographers to the limits of the technology available. St Frances of Assisi Church in Bournemouth is an exception to that because is bathed in light, my new favourite church. Exactly a year ago Alice and Tom invited me to share their wedding day at this very church, I’m so pleased they did. I’m sure you’ll agree that the large airy light interior of this church is nothing short of spectacular!